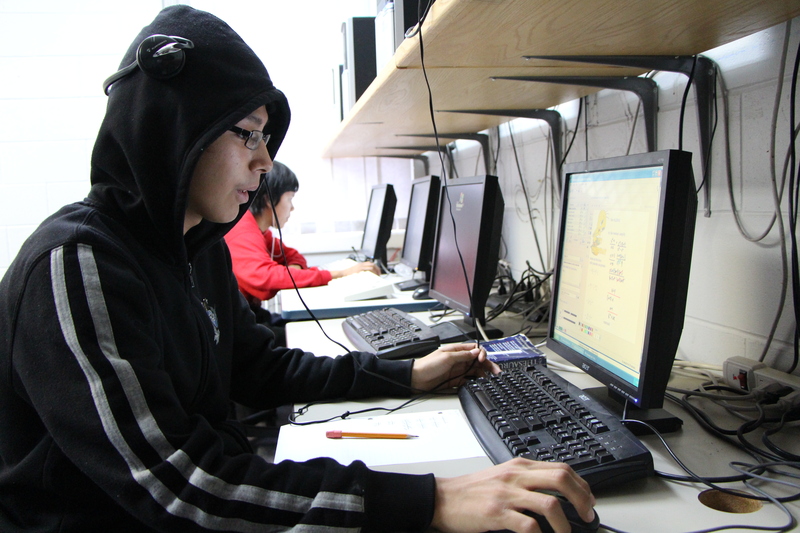 In 2010, MFNERC launched the Wapaskwa Virtual Collegiate (WVC) to help First Nations students in Manitoba access new sources of education, and find new learning opportunities. By offering a variety of online high school classes, WVC gives students the ability to meet all of their graduation or post-secondary requirements. While many remote schools do an excellent job of providing and teaching a core set of classes, WVC was created to offer even more opportunities that will help students succeed in achieving their future goals. The schools participate in the direction of course development and programming. WVC currently offers Grade 9-12 courses. The instructional staff works as a collective team to build quality, interactive courses that meet provincial standards. In fact, in 2014 WVC received accreditation as a Manitoba high school (school code) from Manitoba Education and Advanced Learning, a very important milestone. Find more information at www.wapaskwa.ca.